Sea salt is among the healthiest varieties of salt, as it contains essential minerals and nutrients that are normally removed during the refining process involved in manufacturing table salt. While the sodium and chloride content in both sea salt and table salt are practically similar, sea salts are characterized by larger and more flavorful crystals compared with the latter. Sea salt is known to contain minerals that are in their natural ratios, which in turn maintains the body’s electrolyte balance. Sea salt has long been touted as a primary remedy to various skin disorders. Dead sea salts in particular are known to keep the skin moisturized and rejuvenated. The high magnesium content in sea salts is found to boost the skin barrier function and eliminate skin surface roughness and inflammation. Sea salts are also found to promote detoxification by improving blood circulation and eradicating toxins from the pores. Aside from this, sea salt is highly regarded for its exfoliating properties that remove dead skin particles, tone up the skin tissues, promote peripheral blood circulation and aid in skin renewal. Additionally, sea salt is found to be potentially effective in managing more serious skin conditions such as acne, dermatitis, and psoriasis. 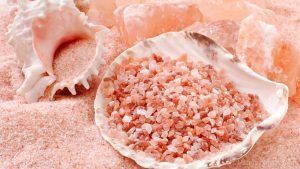 Sea salt is also found to maintain healthy blood pressure levels and stabilize irregular heartbeat, which in turn keeps cardiovascular diseases at bay. In addition, sea salt may help maintaining healthy blood sugar levels. As a result, this reduces the need for insulin medications. On the other hand, the soporific effects of sea salt help promote good sleep. Aside from this, the rich mineral content in sea salt maintains the body’s electrolyte balance. Electrolyte balance is essential in supporting muscle strength and preventing muscle fatigue and cramps. Sea salt is also important in promoting digestive health and the body’s overall function. In addition, sea salt is a widely popular remedy to osteoarthritis. Previous studies have shown that consuming sea salt resulted in significant improvements in patients with knee osteoarthritis. Some patients were even able to prolong the beneficial effects of sea salts. A number of studies have also demonstrated that sea salts may address rhinosinusitis. Likewise, sea salt is known to reduce acidity by alkalizing the body’s cells and encouraging acid excretion by way of urination. Maintaining a healthy alkali-acid ratio is important in keeping chronic diseases such as Alzheimer’s disease at bay. Furthermore, sea salt is known to contain stress-relieving properties that ease the puffiness and dark circles around the eyes. 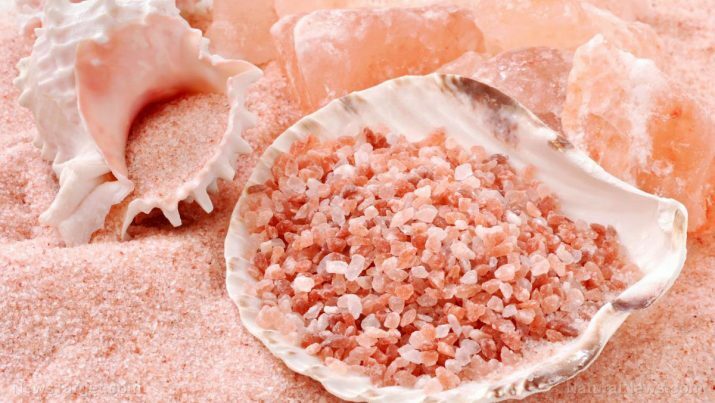 Sea salts are highly valued for their benefits to the skin and the bones. The popular flavoring is also touted for its beneficial effects on the circulatory, muscular, and digestive systems. Sea salt is also essential in maintaining the body’s overall function. Sea salt’s distinct flavor and crisp texture makes it an interesting addition to a variety of dessert recipes, an article in HuffingtonPost.com shows. According to the website, sea salt is a good companion to caramel and peanut butter. Sea salt prevents skin and bone diseases and cardiovascular conditions. Sea salt staves off stress-related conditions, muscular issues, and rhinosinusitis. Sea salt promotes a healthy digestive system and the body’s overall health. Sea salt supports the circulatory, muscular and digestive systems.